It’s here: The pumpkin spice latte. And everyone knows the arrival of the #PSL is what officially ushers us into fall. Kids are going back to school, things are slowing down (in a manner of speaking), and everyone is getting back to work and traveling less. In this day and age, marketing your vacation rental successfully means doing more than just creating a listing on a vacation rental platform, especially during the “off-season.” If you’re living by the “build it and they will come” mentality, you’ll probably be waiting a long time with few guests checking in. 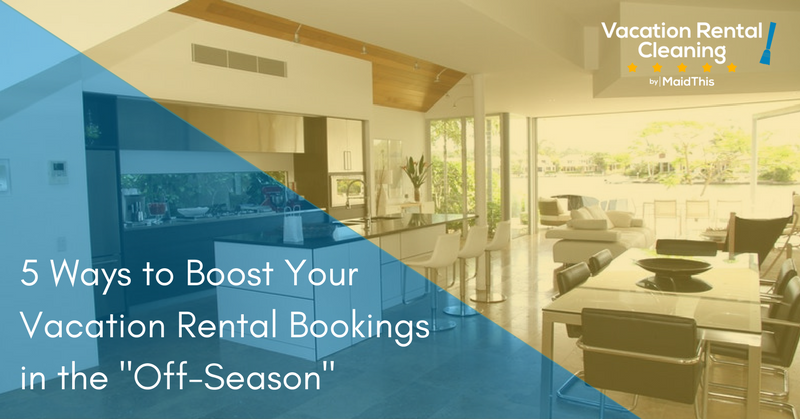 To survive the annual “dry-up” of vacation rental guests, here are 5 ways to boost your vacation rental bookings this fall. 1. Adjust your pricing to be more enticing. Though it may be tempting to keep your rates at their high-season level to help alleviate some of the pain of vacancies and slower seasons, it’s not the wisest choice. One thing you definitely don’t want to do is raise your rates during this period. Do some research and look at how rates are changing around your area. How do they compare to yours? What fluctuations are happening with your competitors’ pricing over the next few months? As you make changes to your own rates, remember to keep in mind your recovery costs. Be sure you’re not cutting guests such a good deal that you’re pulling cash out of your own pockets. If you want super-detailed information (and if your listing is on Airbnb), consider starting a relationship with AirDNA. AirDNA breaks down a great deal of data for Airbnb listings across global markets, including market summaries and revenue tracking. 2. Run specials for one- and two-night stays. During the off-season, folks are less likely to be taking lots of time off for long vacations. Instead, they’re more likely to have only weekends or single nights to get away. Consider creating a specialized package deal that includes some extra goodies for guests who stay with you over a weekend or whose “weekend” may fall during the week. Reach out to local businesses and see about getting free passes, gift cards, or discounted deals to offer to your guests as part of your special package. 3. Temporarily remove your minimum night requirement. During high season, it makes sense to have a minimum stay requirement. As more people are vacationing and are likely to need a place for several days at a time anyway, it doesn’t hurt you to discourage single-night guests. In the low season, however, the opposite is true. In many cases, you must consider whether any guest is better than no guests. A booking is a booking, no matter how you slice it. Do your potential guests (and yourself, for that matter) a favor by removing your minimum night requirement. You certainly don’t need to do this for an extended period, just as you move through the slower season. 4. Remove your “Request to Book” button and let guests book instantly. Some hosts prefer to screen every potential guest that wants to stay in their home while others are less concerned. If you’ve ever hosted nightmare guests, you probably prefer to sit comfortably in the “request to book” camp. We get it and can completely empathize. However, we also know you could be costing yourself potential bookings. We live in a world fueled by instant gratification. We do almost everything online these days with the click of a button: purchase airline tickets, rent a car, buy new headphones and suitcases from Amazon… If your guests were booking a hotel, they would experience the same instant gratification we all live for. You can do the same by kicking your “request to book” button to the curb. By giving your guests an opportunity to book directly and know they’ve secured their stay, you give them peace of mind and heighten their excitement. Not to mention, it will cut down your administration responsibilities significantly. Instead of spending so much time screening, you’ll be able to jump right in to welcoming your guests and preparing for their stay. 5. Turn your self-advertising up to the next level. It’s no longer safe to assume your vacation rental listing platform is doing enough to market your place. You’re swimming in a sea of many, many other vacation rentals and standing out is getting more and more challenging. If you don’t want to spend the time or money to make your own vacation rental website, start taking advantage of the free tools at your disposal. Social media is a powerful medium and platforms like Facebook and Instagram could be your new best marketing friends. Create an Instagram account specifically for your vacation rental. Don’t worry about feeling like you’re not a photographer – there are plenty of resources out there on how to build a rockin’ Instagram account. Pro Tip: If you’ve got more than one vacation rental in the same area, it’s okay to keep them all together under one umbrella account. If you’ve got listings in starkly different areas, such as different cities or states, it’s better to set up separate accounts for each. Post images of your space throughout different seasons to give potential guests an idea of what things will look like when they stay. Share images of local eateries or activity locations that would be fun to visit. All in all, keep it light and show why your place is exciting and worth booking. Be sure to load your images up with hashtags that fit. These could be anything from tags that describe your location, the season, specific activities you’re doing, or anything else that relates. Don’t be shy! Stack those babies up. Don’t let the season slow-down discourage you. 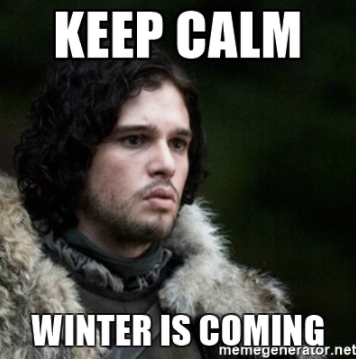 Just because the off-season is starting doesn’t mean you need to worry or spend a fortune to keep your occupancy rates up. Put a few of these tips into action and before you know it, your schedule will be busier than you expected. Need some help preparing for your next guests? Learn more about how MaidThis! helps vacation rental hosts with turnover cleaning.